Our range of luxury dog sofa throws are perfect additions to your home. Not only will they keep your sofa free of dog hair but they will keep your dog nice and warm and cosy during the cooler months. 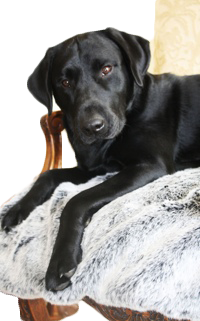 Most of our luxury dog throws are handmade to order for us here in England and we have a fabulous selection of faux furs that look and feel just like the real thing for your dog to snuggle up in. These lovely dog sofa throws also make perfect gifts for dog lovers. If you love curling up on the sofa with your dog then you’ll need one of our luxury sofa throws to protect your couch from dog hairs and sharp nails. Practical and oh so stylish, we have a range of luxury faux fur dog blankets that will look fantastic is your home. If you buy one in large enough size maybe you can curl up on it too with your dog! The faux fur luxury dog blankets are so soft and luxurious and they are available in a selection of wonderful colours suitable for all breeds of dogs. At Chelsea Dogs, we have sourced some wonderful sofa throws for dogs that can be personalise with your dog’s name.